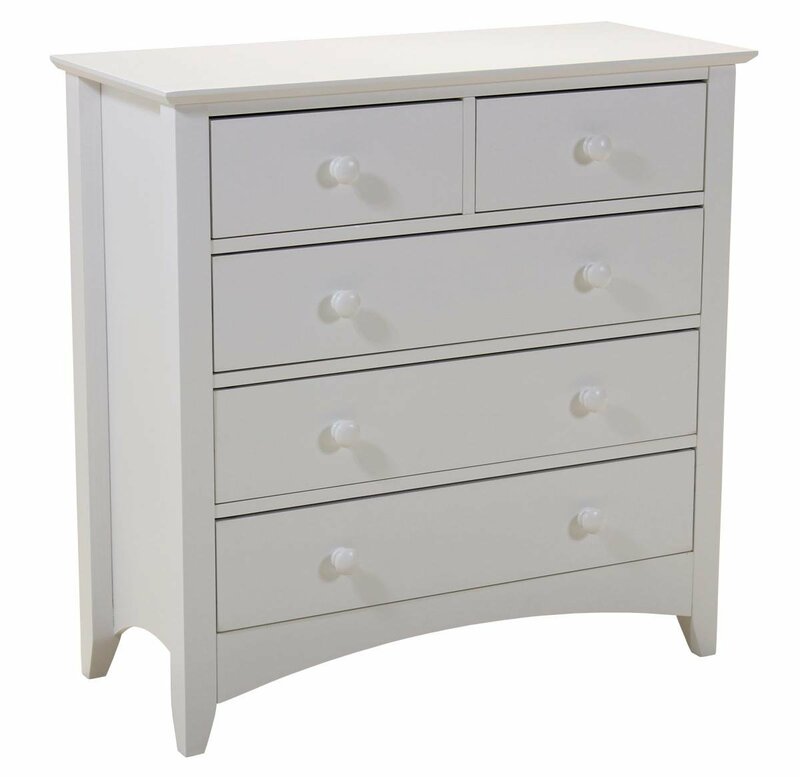 A beautifully simplistic Chest that is as practical and beautiful. A classic, clean white design that fits within any Bedroom decor: modern or traditional. With three wide drawers and two smaller drawers, this table has ample storage and traditional ball handles. The small, unique touches are what makes this Chest stand out. With the arches frame at the bottom, the square jutting supports and tapered tabletop edges, it all adds up to a stunning design.